For someone who struggles with clean and simple you sure did a great job, Linda! 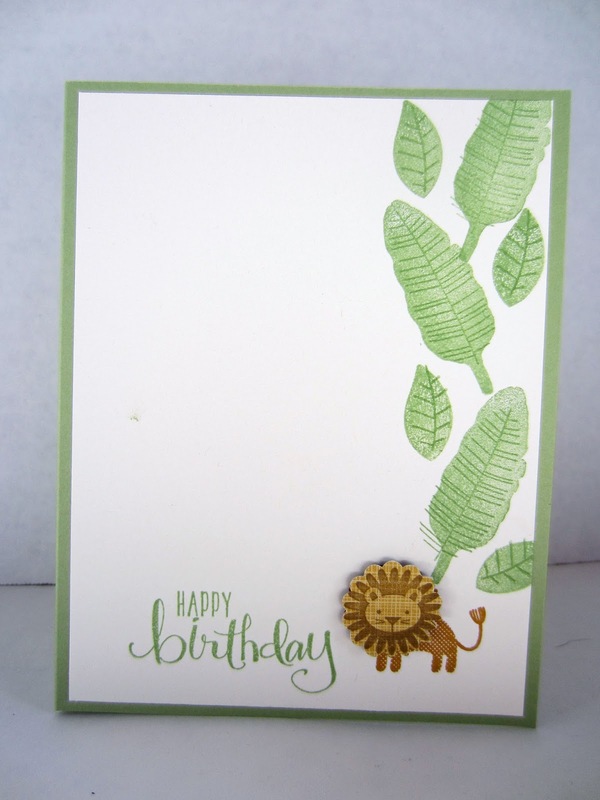 I love that cute litle lion and how you keep all your stamping on a small area of your card. Perfectly CAS! Thanks so much for playing along with us this week at The Paper Players! This little lion is the cutest! 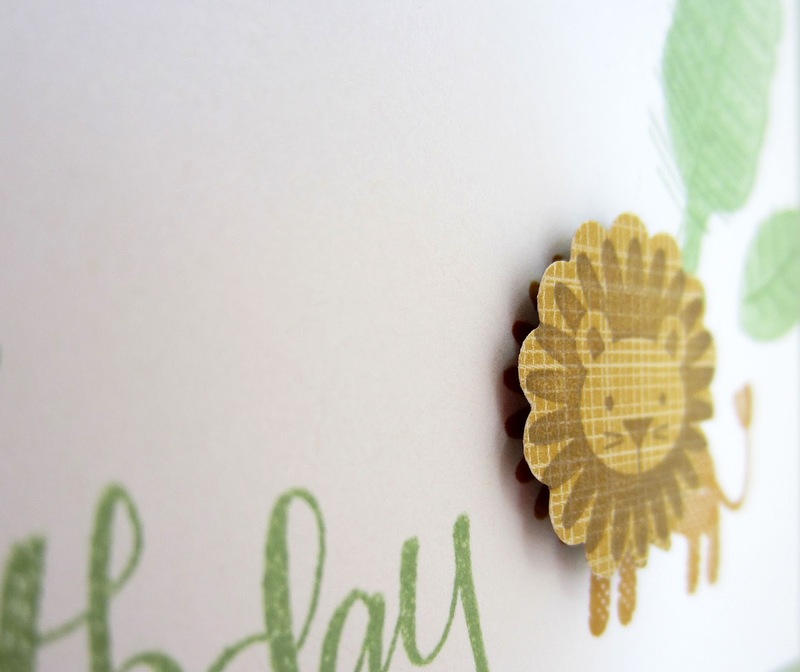 I like how you used the patterned paper to stamp his face on and then raised it up over the body. He looks great. 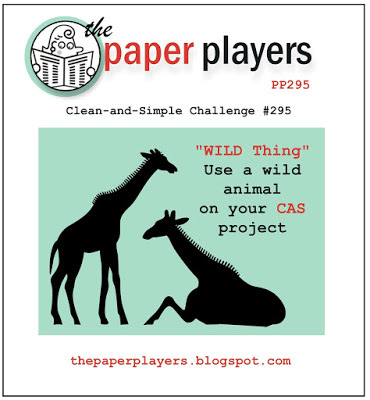 Thanks for playing along with us this week at The Paper Players. What a cutie! This would look adorable on a new baby card as well! You have so many great ideas! Thanks for sharing on Pleasures of the NW DIY Party! I think your cards are beautiful and this one is no exception! How cute. This is such a sweet idea. 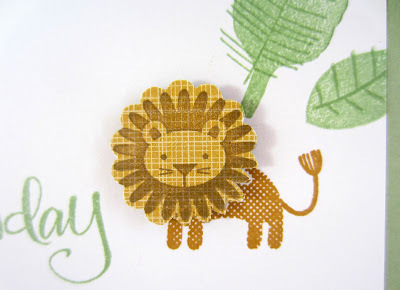 I love the lion. Looks great! I also find clean & simple difficult - I always use every colour I can! Thanks for sharing on Welcome Home Wednesdays! We hope to see you again soon. So cute. Makes me want to start scrapbooking again. The dimensional lion head was a perfect addition to the design. Awww, that little lion is so cute! Thanks for joining us at #FridayFrivolity this week!